Back on the market! Single story custom built home in the coveted location of Wind harbor in Belle Isle. A split plan this 4 bedroom has a large master suite, with second master bedroom, 3 full bathrooms and impressive family room with high vaulted cedar ceilings, natural stone wood burning fire place, skylights adding natural sun shine through for extra brightness. The main master features impressive living space, large walk in closet, master bath with, dual sinks. Six separate entrances to access the pool area. Spanish terracota tile and wood laminate throughout the home, no carpet! Open plan dining, family and kitchen. Gorgeous 8 ft deep pool with waterfall, covered and screened porch, plenty of room to entertain. 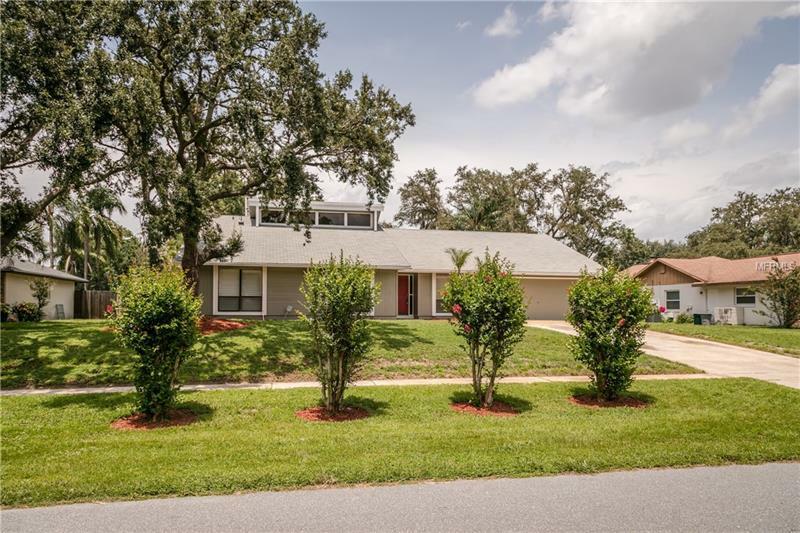 Exclusive boat access to Lake Conway to residents only.This home has just been freshly painted indoor and outdoor, new swimming pool pump and filter, new air conditioning unit. Cornerstone is an A rated charter school located only a few blocks way. Oversized driveway. A must see! Check out our open house!